It took 27 years, locations all over the world and the last half a decade in production...but the Parks Bonifay Documentary is finally here. This tale of a man, his unconventional youth and unbelievable adulthood, flirting with disaster and challenging life, the triumphs of winning everything in sight, and tribulations of incomprehensible injury, the considerable fun and the unexpected pain and the pressure all add up to one thing: his movie. Come along as the life of an extraordinary athlete and his incredible family unfolds before you. It's a life worth seeing; from the time when we watched helplessly as the sports' greatest all-time athlete almost drowned in three feet of water, to a broken steering cable on a rickety film boat bobbing in the Teahupoo channel, to the historical footage of the world's youngest rider on the water. The story of Parks Bonifay brings both never seen before mind blowing content and the untold story of the most highly acclaimed athlete in our sport. There are currently no product reviews. Be the first to Write A Review. Write a review on this video! 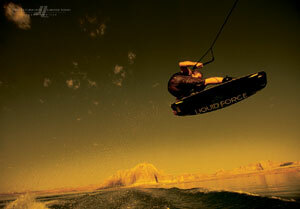 Boardflix sells Wakeboard Videos, Wakeskating Videos, Skateboarding Videos, Snowboarding Videos, Kiteboarding Videos, Surfing Videos, Motocross Videos, and Instructional Videos.